Artist's book by Janire Nájera. Text by Tom Grothus and Celia Rose Jackson. RM, Barcelona, Spain, 2019. In English. 196 pp., 6¾x9". 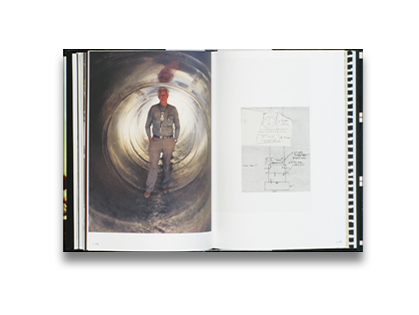 Hardbound artist's book with photographs, correspondence, ephemera, and a sealed, secret envelope containing additional photographs. 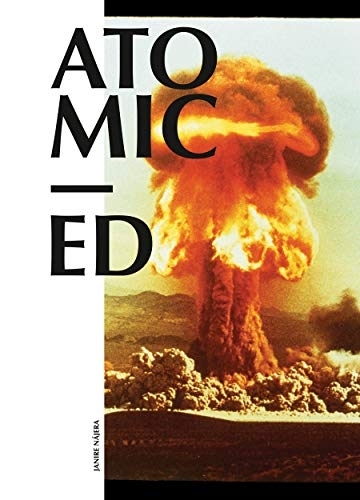 Atomic Ed tells the story of Ed Grothus (1923-2009), a nuclear technician at the Los Alamos National Laboratory in the 1950s and 1960s who became the owner of The Black Hole, a surplus store which he used as a base for anti-nuclear activism. It includes archival documents, vintage and recent photographs, and a selection of letters between Grothus and politicians, scientists, journalists and relatives. Founded by the U.S. Government during the Second World War, Los Alamos was selected to be the site of the top-secret Manhattan Project because it is so remote. It was here that scientists were able to harness the power of the atom, developing and deploying the atomic weaponry used at Hiroshima & Nagasaki. Throughout the years the lab has continually updated its infrastructure and replaced obsolete equipment, holding regular surplus and salvage sales to dispose of unwanted stock. A great deal found its way into The Black Hole, where visitors were presented with an astonishing array of scientific and electronic equipment, anonymous instruments, circuit boards, tools, hardware, furnishings and Cold War relics. The Black Hole was the brainchild and obsession of Ed Grothus. Atomic Ed, as he later became known, had first arrived at this hidden outpost of science to work as a machinist for the lab in 1949. During what Ed considered to be an unjust Vietnam War he felt no longer able to support the development of nuclear weapons, left the lab becoming one of the most outspoken anti-nuclear protestors of the 20th Century. Over the next four decades he collected a breadth of surplus material from the lab, turning a former grocery store into a Mecca of technological obsolescence. His reluctance to part with a lot of the items he stocked led to a friend rechristening the business The Black Hole: everything seemed to go in but very little ever left. Ultimately, The Black Hole became a unique repository for artefacts of nuclear science, exerting a relentless gravity that accumulated a collection far surpassing the quantity and variety of any museum collection. Time seemed frozen inside The Black Hole because an entire history was represented in its objects, the history of nuclear America. Ed Grothus died in 2009, propelling The Black Hole towards its event horizon (point of no return). Following his wishes, Ed’s family decided to close The Black Hole in late 2012. The main goal of the final weekend liquidation sale was to ensure that as much stock as possible was owned by members of the community rather than being sold as scrap. The final liquidation sale was the last breath of The Black Hole. For this series people who came to the final sale were photographed with the objects they purchased. The objects that appear in the images were selected from random shelves of different sections of the store. Since that time, I have travelled to Los Alamos in many occasions to research into Ed Grothus´ archive, take more photographs and publish the photobook Atomic Ed in 2019. SIGNED copies are signed on a tipped-in sheet by Janire Nájera.